Hall of fame trainer Freddie Roach understands what it means to be involved in a big fight. Come Saturday night at Madison Square Garden, Freddie Roach trained fighter, Christopher Diaz (24-1, 16 KOs) will have a stiff test ahead of him. Diaz will take on highly touted and currently undefeated olympic silver medalist Shakur Stevenson (10-0, 6 KOs). It’s a contest that came as a bit of a surprise to the public. With just ten under his belt many feel as though Stevenson’s fight against Diaz is coming much too soon in his career. Count Roach as one of those that feels Stevenson might be biting off a bit more than he can chew. Diaz has just one lone blemish on his record, a 2018 loss against Masayuki Ito for the vacant WBO Super Featherweight title. It was a fight that saw Diaz perform extremely well but he ultimately came up short. Seldom do you see a young prospect take on such a tough challenge so early in their career. Roach believes in the young prospect from Newark, but how exactly does he feel he stacks up in comparison to young fighters such as Devin Haney and Teofimo Lopez? The question begs to be asked. Was Roach serious, or is this just a bit of gamesmanship? Stevenson will have the opportunity to prove Roach wrong come fight night. During Stevenson’s portion of his media day workout, he was asked why he wanted this tough assignment. If Stevenson wants to be great then he will have his shot on Saturday night. Diaz is the sort of test that will tell us all whether or not Stevenson has what it takes to be the future star that many have pegged him to be. They were the hottest team in all of boxing. The Filipino legend, and the former pro from working class Massachusetts. The ailing mentor and his explosive protege. 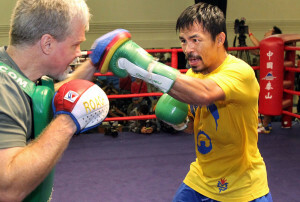 Yes, Manny Pacquiao and Freddie Roach made for quite the duo for a very long period of time. Determined to make it in the sport of boxing, Pacquiao traveled across the Pacific Ocean to the United States, where Roach found an oversize diamond in the rough. The rest, as they say, is history. Countless titles. Countless wars. Explosive finishes. And money, tons and tons of money. Now, though, the relationship between the aging great, Pacquiao, and his longtime trainer, Roach, is over – at least temporarily. 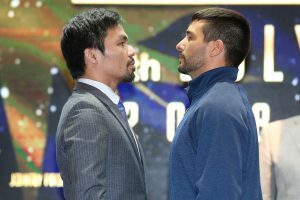 This weekend, those who are willing to pay money for the pleasure of ESPNs streaming service, ESPN+, will be able to watch Pacquiao face off against fellow aging fighter Lucas Matthysse of Argentina. 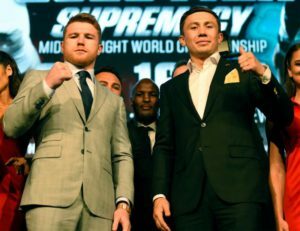 As Yahoo’s Kevin Iole puts it, the bout will “likely will be seen by far fewer than 100,000 viewers in the U.S. ESPN has no places to release subscriber numbers for ESPN+, or viewership of any particular event.” The fight, which is going down in Kuala Lumpur, Malaysia, was supposed to be on pay per view, but money problems prevented that from happening. No doubt the ratings would be huge if Pacquiao and Matthysse battled on regular ESPN, but the days of such things may be over. After making a celebrated agreement to showcase boxing on regular cable, promoter Bob Arum and ESPN have apparently decided fans are going to pay to see the big names once again (the impressive, and it is impressive, ESPN+ only runs about five bucks a month – for now). Times have indeed changed. This might be most clearly evident in the absence of Roach from this event. It will be strange not seeing the man in Pacquiao’s corner, offering advice to his prized fighter while refusing to let Parkinson’s disease keep him from plying his own trade. Rather than having Roach in his corner right now, Pacquiao has placed his long time sidekick, Buboy Frenandez, in the general’s slot. The results of this pairing may be interesting, for the truth is that reports of Pacquiao’s complete collapse as a top fighter might have been greatly exaggerated over the past few years. On top of that, Matthysse has been on a bit of a comeback as of late and is rightfully known as a warrior in the ring. Will Buboy deliver if things get searing? Or has Pacquiao more or less decided to be his own cornerman, a combination fighter/trainer, who only needs people to offer him water and cut treatment if need be? What’s perhaps most jarring about all this is the fact that Pacquiao seems – on the surface of things – to have been rather cold to Roach, his ailing former mentor. Roach reportedly was never informed by Pacquiao of Pacquiao’s decision. It just happened. Word is Manny was unhappy with Roach, but no one really knows what the truth is. The one reality, it seems, is that professional courtesy was not involved with Pacquiao’s decision to move on sans Roach for the Matthysse fight. For what it’s worth, Pacquiao says he might employ Roach again. Pacquiao’s career has taken a strange turn, however, and it’s unclear how many fights he has left. He’s a senator in his homeland, and he’s not getting any younger. As for Matthysse – he probably couldn’t have hoped for a better match. The man was high on the lists of many analysts until he got bested by Philly’s Danny Garcia in 2013. Then, several years later, he was beaten soundly by the skilled Ukrainian Viktor Postol. He took some time off, and has since returned with two wins, his last one being a knockout of undefeated Tewa Kiram in January. He’s an exciting fighter, Matthysse, one who may make things exciting when he faces Pacquiao, whose last bout was a highly controversial loss to hometown hero Jess Horn in Brisbane, Austrailia last summer. Pacquiao (59-7-2) will be facing Matthysse (39-4-0) for Matthysse’s version of a WBA welterweight title when the opening bell rings on Saturday night. The ESPN+ broadcast begins at 9 PM Eastern Standard Time. Roach has been in Pacquiao’s corner since the fighter made his United States debut back in 2001. During that time, they stayed together through over thirty fights, and the acquisition of numerous title belts. It was Roach who led Pacquiao into battle against Floyd Mayweather in the 2015 superfight that still holds the Pay Per View Record. Since that time, Pacqiuao’s career has been viewed as being on the downslide and word had gotten out recently that Pacquiao wanted to hand over the training duties to someone else. Pacquiao’s last fight with Roach was in early July of last year, when Pacquiao lost a highly controversial decision to Australia’s Jeff Horn. Fernandez has been close to Pacquiao since the fighter’s debut and is a constant presence in Pacquiao’s entourage. Neri is also in Pacquiao’s inner circle and has been known to be Pacquiao’s cook while the fighter is in training. Among other things, Pacquiao was reportedly displeased that Roach was not firm enough with the referee during the Horn fight, which took place in Horn’s hometown of Brisbane, Australia. Pacquiao was cut numerous times during the bout and felt the cuts were due to Horn headbutting him illegally. Roach has been credited with turning Pacquiao from a menacing but limited fighter into one of the greatest boxers of his generation. For his own part, the Las Angeles based trainer has not resorted to smearing his most famous and accomplished pupil. “Manny and I had a great run for fifteen years,” he stated, “longer than most marriages and certainly a rarity for boxing. I wouldn’t trade any of it.” Although displeased with the manner of his firing, Roach continued to wish Pacquiao well. “Inside the boxing ring and the political ring, I wish Manny nothing but the best,” he said. 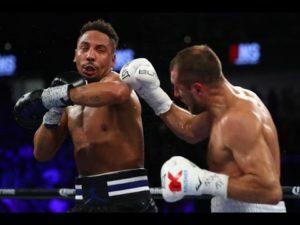 Premium pay television network EPIX®, an MGM company, has announced that undefeated boxing champion Andre “Son of God” Ward will host the new version of the seminal The Contender boxing franchise. Legendary boxing trainers Freddie Roach and Naazim Richardson join as trainers in the iconic series that has launched multiple boxers into contention for world titles. The all-new 12-episode season of the boxing competition series, the first of its kind to air on EPIX is produced by Mark Burnett and his longtime executive producer Eric Van Wagenen. MGM Television has joined forces with Paramount Television to produce, and filming will begin this Spring 2018 in Los Angeles. As host, Ward brings his undefeated record and undisputed boxing expertise to The Contender. Throughout his incredible 13-year undefeated career, he’s held multiple world titles in two weight classes including, unified WBA (Super), WBC, Ring magazine, and lineal super middleweight titles between 2009 and 2015 as well as the unified WBA (Undisputed), IBF, WBO, and Ring’s light heavyweight titles between 2016 and 2017. Ward also won the gold medal in the light heavyweight division in the 2004 Summer Olympics. Esteemed coaches Roach and Richardson will each oversee a team of eight fighters, pushing their fighting skills, strength and endurance to the limit in preparation for elimination competitions. The coaches will also act as the fighters’ mentor, helping them to navigate their everyday life as the competitors live and train together and fight each other in the ring. Each fighter will be vying to become the ultimate Contender and take the winner’s six-figure purse. Roach is widely regarded as one of the most successful boxing trainers of all time. His roster includes the eight-division world champion Manny Pacquiao, five-time and four-division World Champion Miguel Cotto, former WBC Middleweight Champion Julio César Chávez, Jr., defensive master and three-time world champion James Toney, former UFC Middleweight and three-time Welterweight Champion Georges St-Pierre, as well as top prospects Jose Benavidez, Peter Quillin, and Vanes Martirosyan, among many others. One of the most respected trainers from the boxing hotbed of Philadelphia, Naazim Richardson has helped shape the careers of some of the biggest names in the sport over the past 30 years. From Bernard Hopkins to “Sugar” Shane Mosley, as well as others like Travis Kauffman, and prospect Khalib ‘Bigfoot’ Whitmore, Richardson’s work and his spirit continue to be part of boxing lore. The father and trainer of boxing twin brothers Rock Allen and Tiger Allen Richardson, Naazim is also known for discovering plaster hidden in Antonio Margarito’s wraps before the January 24, 2009 fight between Margarito and Mosley. Eric Van Wagenen serves as executive producer and showrunner alongside Burnett. The format is owned by MGM Television and Paramount Television. Famed trainer Freddie Roach feels that if Canelo Alvarez willingly ingested performance enhancing drugs, then he, and anyone else who does the same, should face an “attempted murder charge.” As far as the veteran corner man is concerned, strong enough action hasn’t been taken in light of fighters willfully cheating. “I think, you know, they should be punished for it,” he told Boxing Insider. “I mean, because there should be stricter rules. If they had stricter rules that you could never fight again or maybe longer suspensions they’d think twice about it.” At the moment, Roach feels the punishments simply don’t fit the crime. “The thing is,” he said, “they give them a little bit of a fine and a slap on the hand and that’s it. I mean the consequences are not enough to make them think about doing it and doing it.” Roach understands the reality of the current fight world, but that doesn’t mean he likes it. “I mean it is a part of our sport and is part of our life right now,” he said. “I hope to say that they both (Canelo and scheduled opponent Gennady Golovkin) come out okay. I want that fight to happen because it’s an exciting, exciting fight.” Perhaps surprisingly, Roach didn’t rule out the option that Canelo might well have accidentally consumed tainted beef, causing him to test positive for the banned substance Clenbuterol twice this past February, as Canelo’s team has claimed. “I’m an arborist,” he said, “and I went to school in an agricultural high school.” Roach went on to explain that cattle are indeed injected with substances that will make them bigger. “The more they weigh, the more money you get for your cow,” he said. “It is a common practice…I know this can happen.” Roach went on to speak of other matters during the course of the interview, such as Terence Crawford and his WBO welterweight title matchup against Jeff Horn on July 9th in Las Vegas. Freddy Roach calls Jeff Horn a dirty fighter, and what Terence Crawford can do to win. Freddy Roach and Jeandra LeBeauf discuss former Manny Pacquiao foe Jeff Horn and what Terence Crawford will have to do to beat him. Freddy Roach explains why Canelo should be charged with attempted murder! 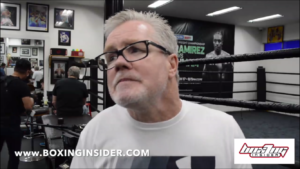 In part 2 of Jeandra LeBeauf's chat with Freddy Roach, the hall-of-fame trainer explains why Canelo should be charged with attempted murder for testing postiive for a banned substance. The following is the Boxing Insider notebook for the week of June 20th to June 27th covering the comings and goings in the sport of boxing that you might have missed. Lineal and RING Magazine Middleweight World Champion Canelo Alvarez (49-1-1, 34 KOs) and WBC/IBO/IBF/WBA Middleweight World Champion Gennady “GGG” Golovkin (37-0, 33 KOs) today closed out their international press tour with a red carpet film premiere for “I am Boxing” at the AVALON Hollywood that included a Q&A panel hosted by Mario Lopez. Canelo vs. Golovkin are set to clash on Saturday, September 16 at T-Mobile Arena in Las Vegas produced and distributed live by HBO Pay-Per-View®. “This is going to be a very tough fight against Golovkin. There are fights that are difficult, and this is one of them. I’m going to prepare like I always do at 100 percent. “Canelo vs. Golovkin is the type of fight that deserves the spotlight and we are getting that. I am pleased to debut a film, ‘I Am Boxing’ highlighting the middleweight division leading up to this historic showdown with Canelo and Gennady, and I am very proud to have been an executive producer on the film. “There has been such a great response to this fight, and it doesn’t get any bigger than this with the two best middleweights fighting each other. “These two superstars have a huge international fan base and when you put them both together-the event becomes much bigger. It was harder to make the deal secret than it was to keep it-everyone was taken by surprise and social media was really trending. “I expect fireworks in this fight come September 16, but I also look at the fans, and see that this is what they want. This is a fight worthy of a red carpet because they are two future champions-and I believe two future Hall of Famers. Manny Pacquiao (59-6-2) and Freddie Roach recently held a media workout in Australia as they prepare to face title challenger Jeff Horn (16-0-1). They will fight on Saturday night live on ESPN in the United States. MANNY PACQUIAO: “We have a really good plan for this fight. We worked hard in training camp both in Manila and in General Santos City. I’m totally focused for this fight. I am not looking past this fight because at this point in my career, every fight is the most important. There are no tomorrows if I don’t win today. “Jeff Horn is OK. I’ve watched video of his fights. He brings a lot of action into the ring. “I know what he is feeling. I remember everything about my first world title fight. “Being a senator and training for a fight is hard. It takes discipline and time management. Luckily, the Senate has been in recess for the past few weeks and I have been able to focus on training for my world title fight. “A Senator’s job is to defend his people … to fight for their rights. “I know Jeff Horn used to be a teacher. In the ring, I’m a teacher too. “I am ready for Jeff to come out and be aggressive. If he does that it will be a great fight for the fans. FREDDIE ROACH: “Manny is a performer. He loves people, loves a big audience. Brisbane has all that for this fight. He’ll be fighting in front of the biggest crowd of his career. “Not everyone gets the opportunity to fight for a world title. It was always my dream but I never fought for one. It’s a big deal. Jeff Horn earned this opportunity. He is the WBO’s mandatory challenger. Two-division World Boxing Association (WBA) World Champion Beibut Shumenov has relinquished his WBA cruiserweight world title, due to his career-ending eye injury, and he has announced his retirement from the ring. “I have regrettably relinquished my WBA cruiserweight title and retired from boxing because of a traumatic eye injury suffered the week before my last scheduled fight,” Shumenov said from his Las Vegas home. “I’m extremely disappointed my boxing career has ended like this but, unfortunately, injuries are part of this sport and there’s nothing I can do about it. I still have blurred vision and I need to have an additional surgery next month to try to further repair so I don’t risk blindness in my (right) eye. Shumenov (17-2, 11 KOs), a 2004 Kazakhstan Olympian, was scheduled to face Interim WBA champion Yunier Dorticos (21-0, 20 KOs) in the April 29th main event of Premier Boxing Champions on FS1 and FOX Deportes, from Sam’s Town Live in Las Vegas. During his last slated sparring sessions, Shumenov suffered an eye injury that required immediate surgery, forcing him to withdraw from his April 29 fight against Dorticos. Earlier this month, the WBA received a letter from Shumenov’s eye surgeon, Dr. Kent L. Wellish, who wrote the following: “Mr. Beibut Shumenov has a serious ocular issue, a recurrent corneal erosion of his right eye, that with continued fighting, puts him at risk for permanently losing his eyesight. The WBA accepted Shumenov’s relinquishment of his championship, noting that it expressed its gratitude and pride for his professional career with the WBA. The last three years of Shumenov’s career was marred by inactivity, in which he fought only three times due to lack of managerial support, despite him training daily, in top shape and always being ready to fight. In fact, he sparred almost 400 rounds since his last fight (May 21, 2016) in anticipation of, first, a unification fight with Denis Lebedev and then for his fight versus Dorticos. Neither happened, however, as boxing politics enabled Lebedev to avoid fighting Shumenov, who defeated BJ Flores and then Junior Anthony Wright in back-to-back WBA elimination fights to be Lebedev’s mandatory challenger. Even Shumenov’s mandatory fight against Dorticos was unnecessarily delayed because Dorticos’ promoter, Caribe Promotions, defaulted its right to promote the fight it had won by purse bid, followed by continuous and numerous date changes from February to March until finally landing on April 29. The 33-year-old Shumenov retires as the first and only two-division world champion to date from Kazakhstan, as well as the record-holder for fewest fights needed to win the world light heavyweight championship, 10. During his 9 1/2 -year pro career, Shumenov defeated four world champions – Gabriel Campillo, Byron Mitchell, William Joppy and Montell Griffin – as well as world title challengers Epifanio Mendoza, Vlacheslav Uzelkov, Danny Santiago, Enrique Ornelas, Tamas Kovacs, BJ Flores and Junior Wright. Thompson Boxing Promotions heads to Northern California on Friday, July 1st to promote its first show in Sacramento starring unbeaten, Olympic bronze medalist Taras ‘The Real Deal” Shelestyuk (15-0, 9 KOs). The highly ranked Shelestyuk (WBO No. 5) faces fellow welterweight Jesus Alvarez Rodriguez (15-2, 11 KOs) in the “Locked n’ Loaded” 8-round main event from Omega Products International, an outdoor venue. Shelestyuk vs. Rodriguez and the entire 8-bout card will be streamed live on TB Presents: Locked n’ Loaded. Watch the action on ThompsonBoxing.com and Facebook Live beginning at 7:45 p.m. PST / 10:45 p.m. EST. Tickets for “Locked n’ Loaded” are priced at $40, $60, & $100 and are available for purchase online at ThompsonBoxing.com, or by calling 714-935-0900. Shelestyuk, 31, is coming off a unanimous decision win against Jaime Herrera in November. The fight, televised on SHOWTIME, had championship implications with Shelestyuk winning the WBO-NABO welterweight title. The Ukrainian-born Shelestyuk, who now lives and trains in Los Angeles, had a decorated amateur career punctuated by winning a bronze medal in the 2012 London Olympics. In the co-feature, standout amateur Ruben Villa (5-0, 3 KOs) of Salinas, Calif. looks to stay undefeated against Gino De La Paz (2-1, 1 KO) in a fight set for 6-rounds. Villa has all the tools to become the next world champion at featherweight. He cleaned up the amateur ranks with back-to-back National Golden Gloves championships prior to turning professional last year. He inked a promotional contract with Thompson Boxing and Banner Promotions last July and has been busy since then. Undefeated fighter and steady rocket in the super bantamweight division, current WBC Youth World Super Bantamweight Champion Diego De La Hoya (18-0, 9 KOs) will travel to South America to defend his title against Argentinian Alan “El Lumbriz” Luques (21-6, 9 KOs) in a 10- round main event that will take place in Complejo La Pedrera in de Villa Mercedes, San Luis, Argentina. Doors open at the 7:00 p.m. ART, with televised bouts going live on DirecTV Sports in Argentina beginning at 8:00 p.m. ART. Diego will be returning to the ring after a solid victory against Erik Ruiz before a sold-out crowd in Tucson, Arizona this past May in a slugfest that went the distance. Chairman and CEO of Golden Boy Promotions Oscar De La Hoya will make the journey of a thousand- plus- miles to watch his talented cousin defend his WBC Youth title ringside as the special VIP guest of the night. Also in attendance as a VIP will be WBA Inter-Continental and WBO International welterweight champion Lucas “La Maquina” Mattysse. On Saturday Night the Honda Center in Anaheim, California will be the host site for the next Premier Boxing Champions (PBC) broadcast on Spike TV. 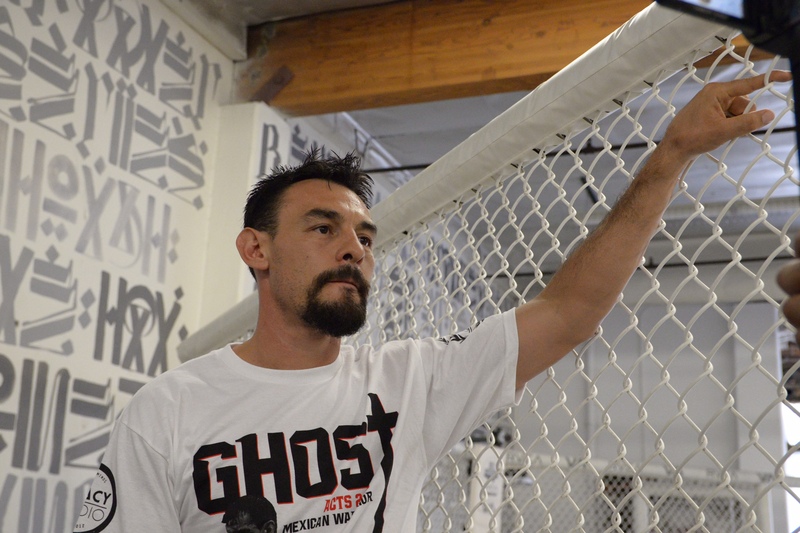 Three bouts are scheduled to take place, including a main event between Robert Guerrero and David Peralta. This card is being promoted in conjunction with a Bellator MMA card that takes place the night before. The opening bout of the night will feature a member of the 2012 United States Olympic team, Terrell Gausha. Gausha had an impressive amateur career and was also a former two time US National Amateur Champion, but his opponent Steve Martinez was a former National Golden Gloves Champion and also had some success as an amateur on the national stage. Gausha, despite being a recent Olympian, will be two years older than Martinez at the age of twenty eight. He will also be giving up both height and reach and will be about two inches shorter than Martinez. Gausha has been very active in the past two years and fought four times in 2015 as well as six times in 2014. Martinez on the other hand has only fought once in 2015 and three times in 2014. Gausha’s biggest victories have come against Orlando Lora, Eliezer Gonzalez, Luis Grajeda, and Norberto Gonzalez. Martinez has defeated the likes of Jorge Melendez and Jay Krupp. On paper, this a fight that Gausha should win. However, it is refreshing to see a recent Olympian challenge himself against a good opponent that is actually younger than him instead of older. This should be one of the more competitive fights of the night. The next bout of the night is between two veterans that have been in the ring with some of the best in the sport. It’s unlikely either Angulo or Hernandez will ever get another crack at a world championship, and both are now fighting in the super middleweight division after spending most of their career fighting as a junior middleweight, but this bout is a must win for either boxer if they want to remain relevant. Angulo has gone 2-3 in his past five fights while Hernandez has gone 3-3 in his past six fights. Angulo is a former Olympian and competed in the 2004 Olympics. He’s thirty four, but will be three years younger than Hernandez. He will be giving up about a half inch in height and will also be giving up a large six inches in reach. Both boxers have lost to some of the best the sport of boxing has to offer. Angulo lost to the likes of James De La Rosa, James Kirkland, Kermit Cintron, Canleo Alvaraez, and Erislandy Lara. Hernandez has lost to Brad Solomon, Julian Williams, Francisco Santana, Delvin Rodriguez, Demetrius Andrade, Erislandy Lara, and Andre Berto. Angulo has the better professional resume and has beaten the likes of Joel Julio, Harry Jor Yorgey, Gabriel Rosado, Richard Gutierrez, and Joachim Alcine. Hernandez has beaten the likes of DeMarcus Corley, Ben Tackie, Luis Collazo, and Jesus Soto Karass. Neither boxer has looked good in recent bouts, but both have a lot to fight for. There’s a chance this match could turn into a brawl, but it’s likely this bout won’t be very entertaining for the viewers. Angulo should win and maybe get one more chance at a relevant fight. 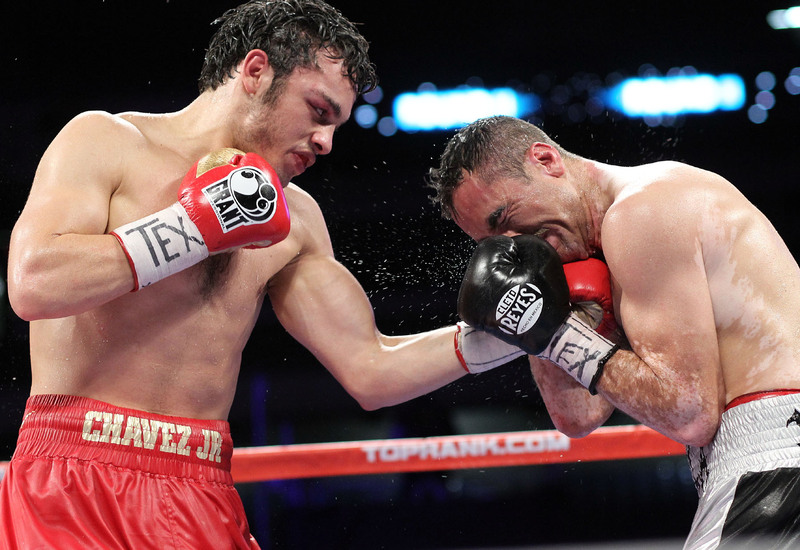 Robert Guerrero lost his last fight to Danny Garcia and was barely able to pull out the victory against Aaron Martinez. However, Guerrero is still a relevant name in the sport of boxing and win on Saturday could land him another fight against a top opponent in the welterweight division. Guerrero has gone 3-3 in his last six bouts but has fought some of the best the sport has to offer. His losses were to Danny Garcia, Keith Thurman, Floyd Mayweather Jr., and Gamaliel Diaz early on in his career. Guerrero is a former featherweight champion and has beaten the likes of Gamaliel Diaz in a revenge match, as well as Joel Casamayor, Michael Katsidis, Selcuk Aydin, Andre Berto, Yoshihiro Kamegai, and Aaron Martinez. Guerrero, a southpaw and thirty three years old, will be facing off against a relative unknown in the United States in Peralta. Peralta is also thirty three years old. Not much is known of Peralta in the United States because he has never fought outside of his home country or Argentina. He has fourteen knockouts, which is four less than Guerrero, and his two losses were to the unheralded Cristian Nestor Romero and Claudio Alfredo Olmedo. He has no notable victories, and his last bout was against an opponent with a sub .500 record. Guerrero should win this bout easily, and a loss for him would be a major upset. Gym, where their relationship with Roach soured after his fight with Sergio Martinez in 2012. Roach raise Jr.’s game to the level it was destined for a few years back? Chavez may never reach that level again. But improvement? Not out of the question. turnarounds for the likes of fighters such as Manny Pacquiao and Miguel Cotto. moving weight limits before fights, often resulting in unfair advantages in size inside the ropes. fights, mainly whether Jr.’s defense is adequate enough to win rounds against top notch fighters. believe he’s changed, rather than attempting to prove it to the one person who counts: himself.